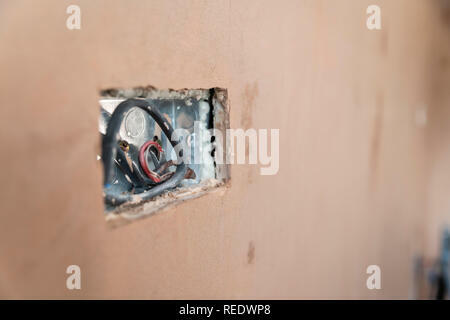 First fix domestic electrics in a freshly plastered wall. 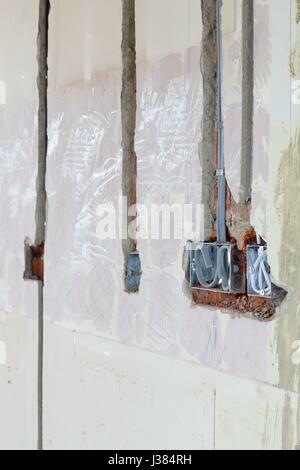 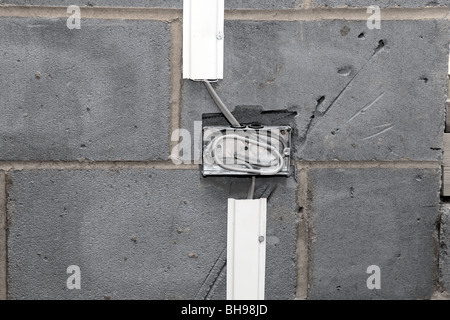 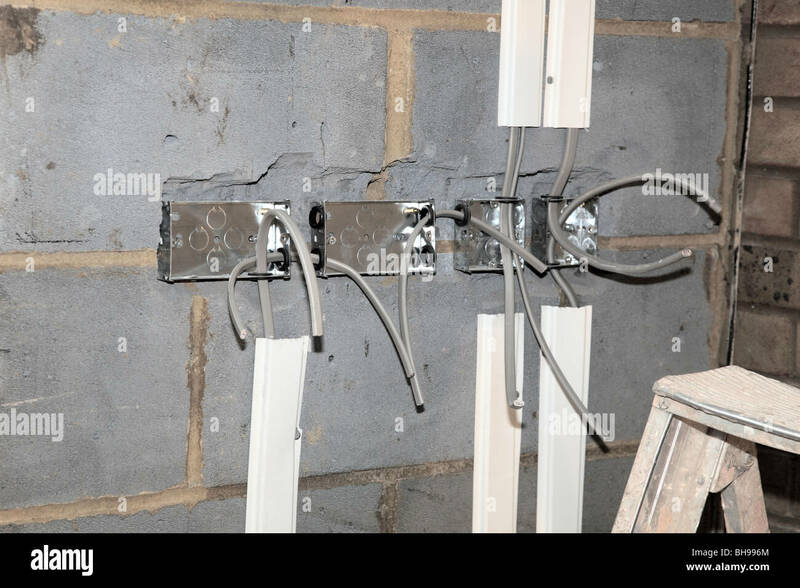 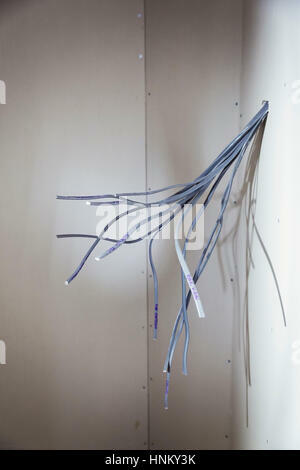 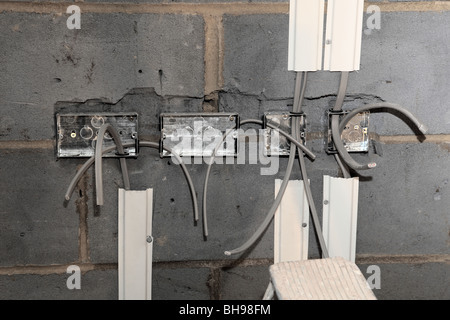 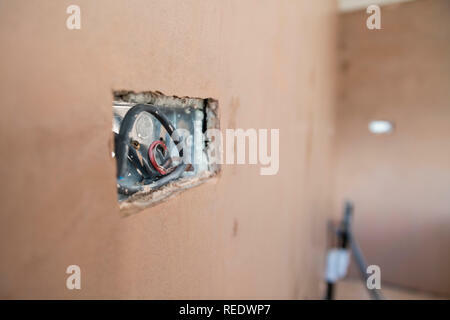 Electrical wiring sticking out of a wall in a new build house. 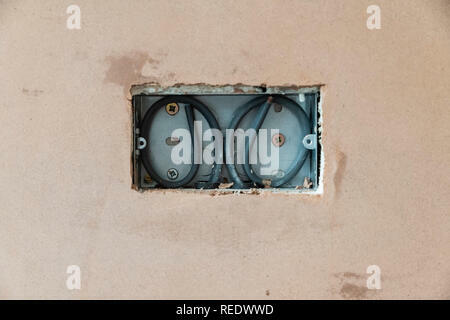 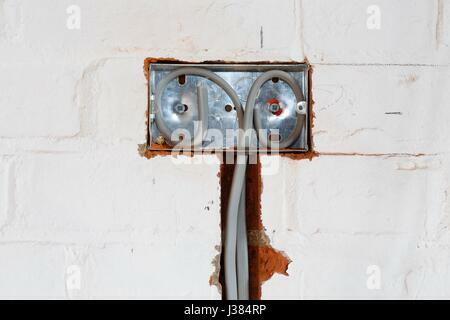 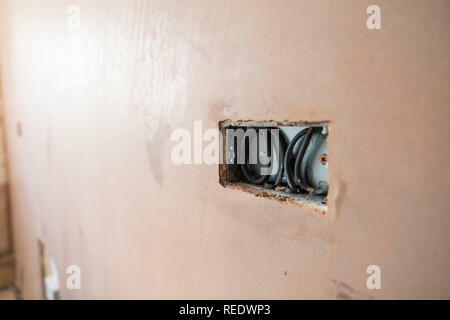 Bare plaster walls and socket hole. 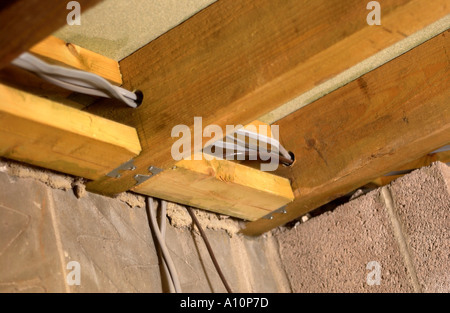 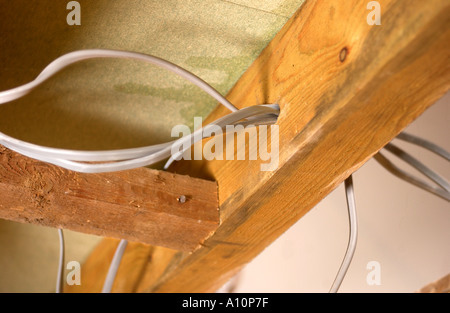 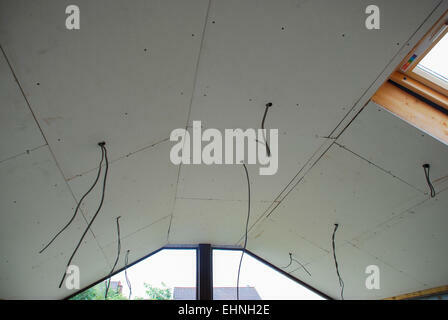 First fit electrical cables for lights poke through plasterboard during the construction of a sunroom ceiling, ready for plastering and second fit.